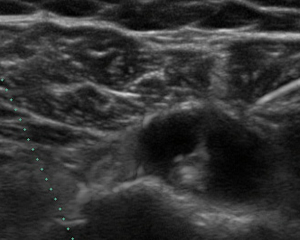 Dr. DuBois is pleased to offer state-of-the-art diagnostic shoulder ultrasound in his office. 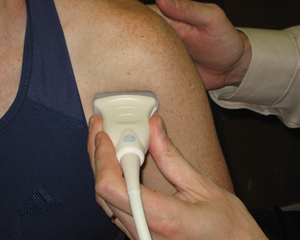 He is an expert in the use of in-office ultrasound to diagnose common disorders of the shoulder and has been teaching national courses on this technique for years. The ultrasound is also utilized for visual guidance of a needle for injections into your shoulder which improves accuracy and often makes the procedure less painful. The complete diagnostic ultrasound exam takes less than 10 minutes and is safe and painless. Dr. DuBois personally performs the exam and explains his findings to you immediately, so decisions can be made efficiently about your medical care.